I remember taking my first road trip with my daughter, just three months old. I was absolutely terrified. And I had one of my best friends with me! I think of how nervous I was when I made that first road trip and now looking back it was easy compared to what it’s like traveling with a toddler. Especially a toddler as busy as mine!I was determined to keep her busy and happy. And we all know how hard that is even when we they are not in the car!I started with gathering up my sensory stuff. She loves her sensory table and I thought using some of those items would be good for the trip. But, I also gathered up some of our smaller activities I had laying around. I also brought out some new toys that I had in the basement from Christmas’ and Birthdays past. The next thing I did was head to the Dollar Tree and purchased about 15 pencil pouches. I needed something to store all of the different activities in and I needed them to be easy for me to grab and hand back to her. All in all I had roughly 25 different activities for her to do. One for every half an hour we were driving. The trip to Indiana is about 12 hours. I think my favorite was the “after dark” bag. Once daylight is gone you have to get creative. Even with a DVD player in our car a kid can only watch so much TV. This one kept her occupied for quite some time! 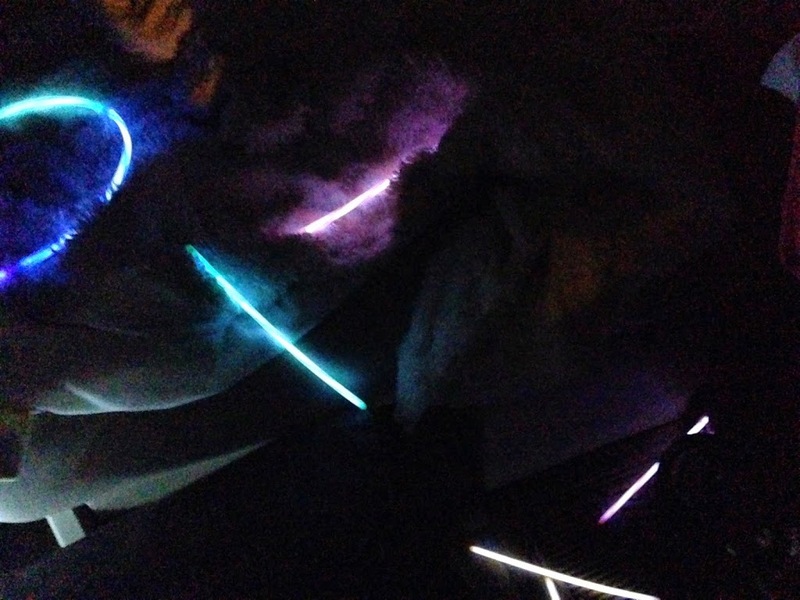 This is the world’s worst picture, but basically what I did was pack some her glow sticks, a few strands of battery operated lights and I let her go to town playing with them. She loves “after dark” activities when we are at home so I knew this would be a hit! Another favorite was this snack box. 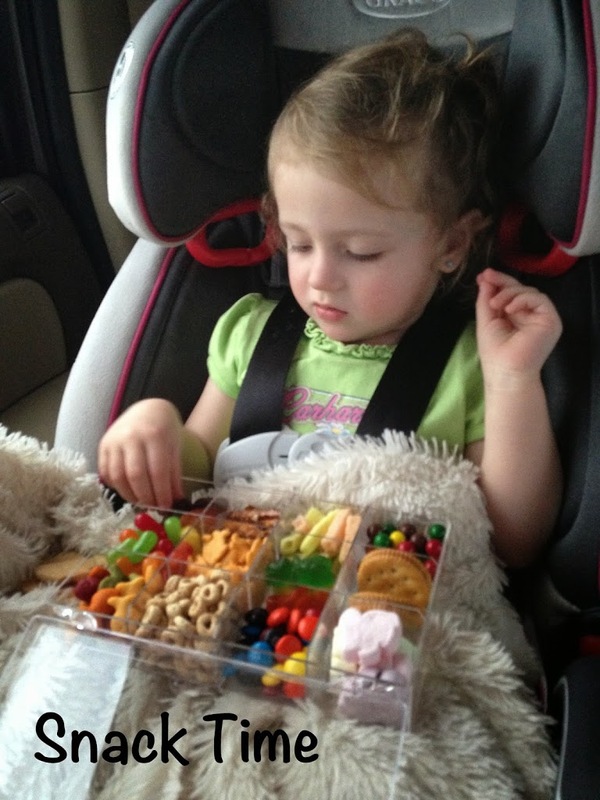 I used a simple bead organizer and filled it was various snacks that were her favorite. This also kept her occupied for a good amount of time. My kid loves to eat! One thing I made sure to do was let her out of her car seat every time we stopped. When it was just my husband and I we would always keep moving. But, with a kid you aren’t that lucky. I let her out at gas stations to run and climb and I also made it a point to sit down for meals. I used McDonald’s play land like it was nobody’s business too! Traveling with a toddler can be daunting, but being prepared for just about everything helps make it less daunting. 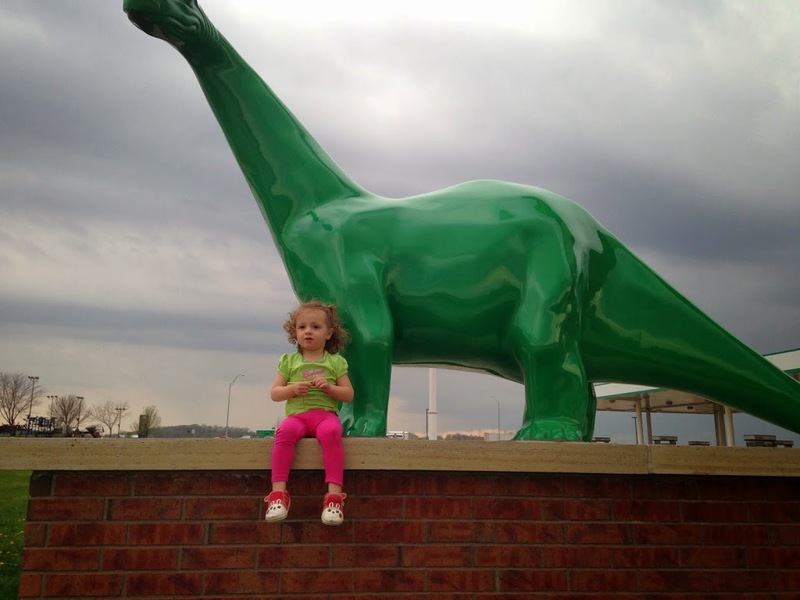 I would love to hear your tips for traveling with toddlers!